The StringKing Metal Pro BBCOR aluminum alloy baseball bat combines premium materials and superior manufacturing to deliver a powerful baseball bat with consistent performance. 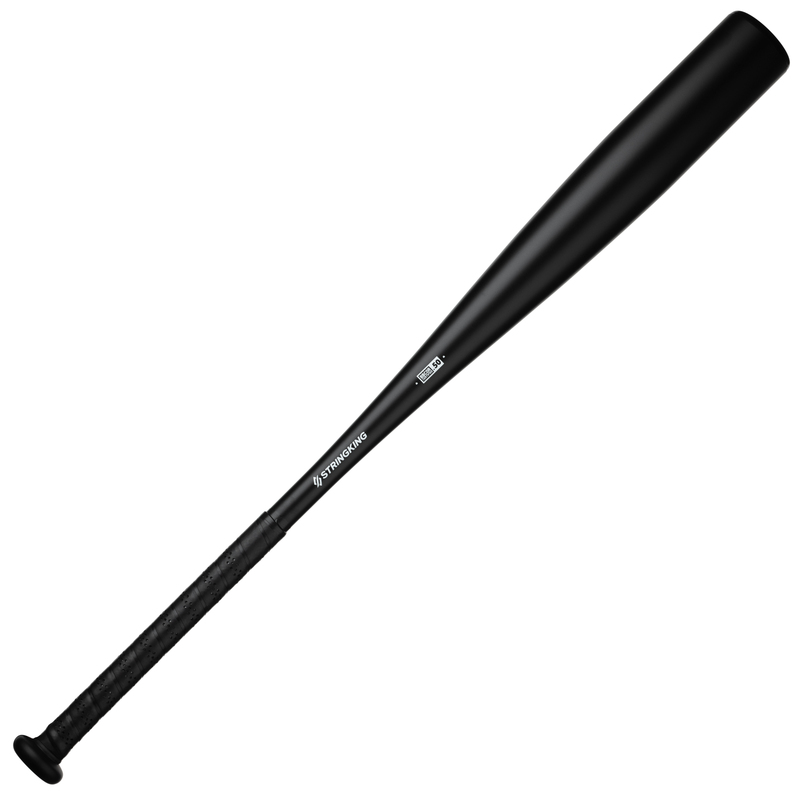 The BBCOR rating of the Metal Pro baseball bat peaks at over .499, as close to the legal limit of .500 as possible. Metal Pro leads other top alloy baseball bats in both max BBCOR rating and overall power output, all at an unbeatable price. 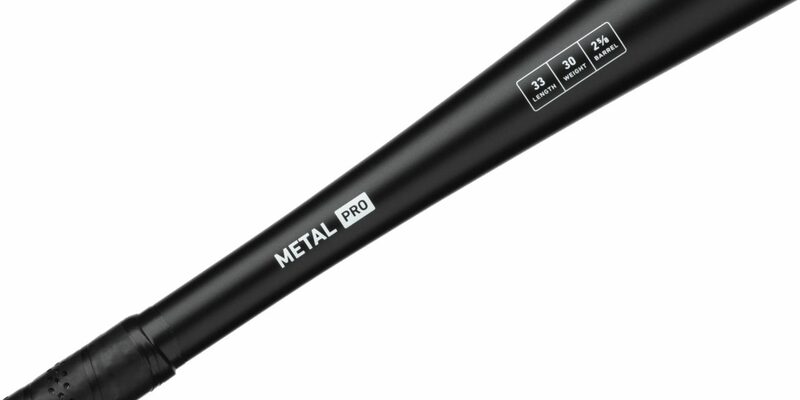 The Metal Pro baseball bat features a balanced weight distribution that's slightly end-loaded, giving you faster hands and a more powerful swing. 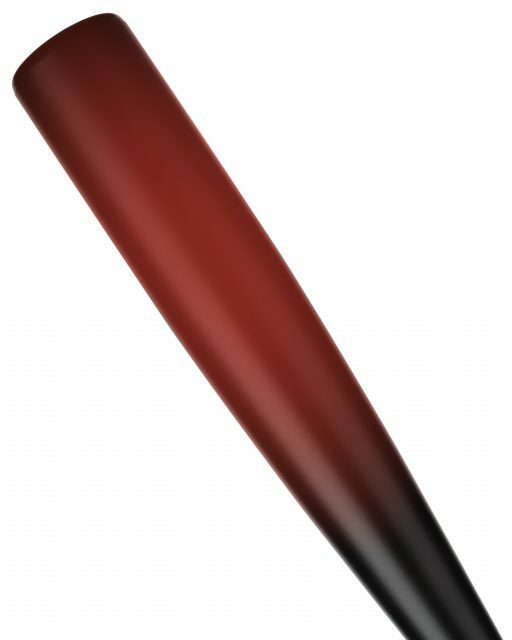 We engineered the Metal Pro baseball bat to have a BBCOR rating that stays as high as possible throughout the barrel. It peaks at over .499 and stays consistent, giving you a wider sweet spot and more consistent power. The high quality metal alloy used in the Metal Pro baseball bat is tougher than the metals commonly used in the aerospace, automotive, and military industries. If your bat breaks within its warranty period, we will replace it for free. Warranty replacement bats have a limited warranty that covers 50% of their retail value. If you use your warranty credit to upgrade to a more expensive bat, your replacement bat will have a full warranty. Show us your Metal Pro BBCOR to be reposted by @TeamStringKing.